MetLife has teamed up with partners Valley Schools Employee Benefits (VSEBT) to offer school district employees throughout Arizona access to MetLaw services. VSEBT is a not-for-profit organization and free to join. By joining, school districts can access low group rates through joint purchasing. Legal issues effect nearly every worker at some point, whether they be traffic infractions, contract disputes, wills, foreclosure, bankruptcy, debt collection, or advice on consumer fraud and protection. The list of issues are as diverse as the workforce. The legal issues cause both absenteeism and presenteeism. That is employees either miss work completely, or show up, but are so distracted they have little or no productivity. 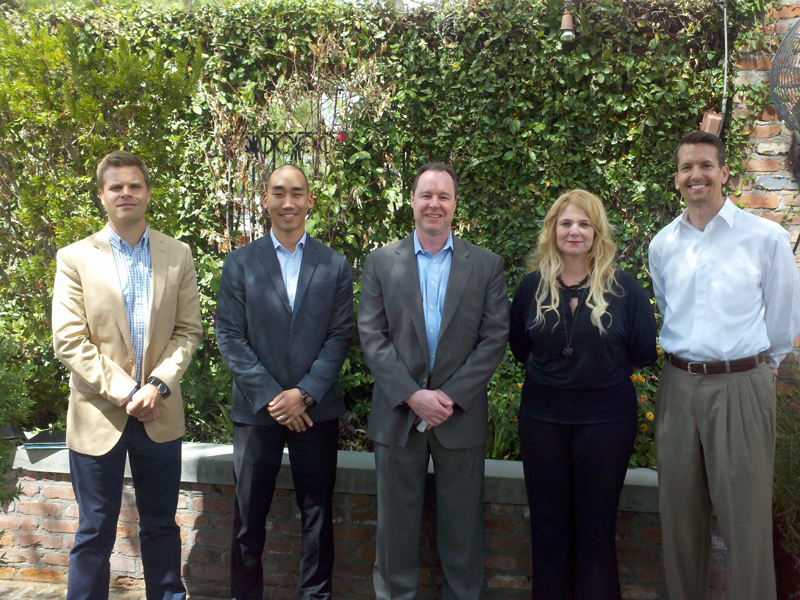 Left to right: Crimson Turner MetLife Client Services Consultant, Daniel Park Glezman MetLife Marketing Consultant, Eric Eaton MetLife Account Executive, Andrea Billings, VSEBT Administrator, Dennis Cyga MetLife Regional Sales Manager. Both employers and employees benefit through MetLaw from MetLife and VSEBT. The employer pays nothing, but is able to offer their employees low cost pre-paid legal or discounted legal fees. The employer gets happier and more productive employees as a result. Employees get the peace of mind of knowing their basic legal needs are taken care of, and they can get a good referral if they need specialty attorneys. Congratulations on this new partnership to bring MetLaw to so many needy teachers and other school district workers.